Many a gamer out there may have woken to some surprising news. 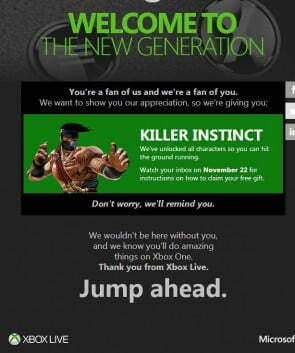 In their e-mail inbox, they may have found an e-mail from Xbox stating that they’ve been chosen to receive an Xbox One console or a redemption code for Killer Instinct. The official Xbox Twitter account is also backing up the e-mails as legit. Did you receive an e-mail? If so, what did you get, how long have you been an Xbox LIVE/Gold member, what’s your gamerscore? We’ve reached out to Xbox for some detailed information on this program, and will update ASAP. Just finished with the call to the microsoft store. Got my confirmation email. There looks like there is two different xbox one bundles also. One with Forza 5 and another with 5 or so different games. I got the Forza 5 one. 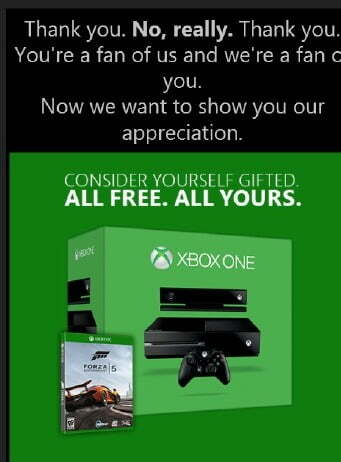 Both me and MajinBro got the email for Xbox One/Forza 5… 395k ish gamerscore for me and around 312k for Bro. Both Gold since Halo 3 2007. 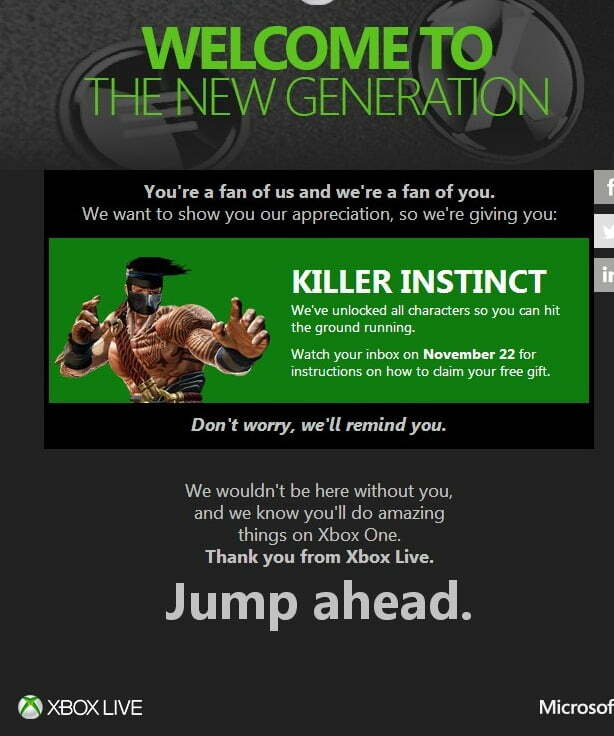 I got the e-mail for Killer Instinct. I’ve been Gold for 5-7 years (not near my console to check), and gamerscore’s 123k.